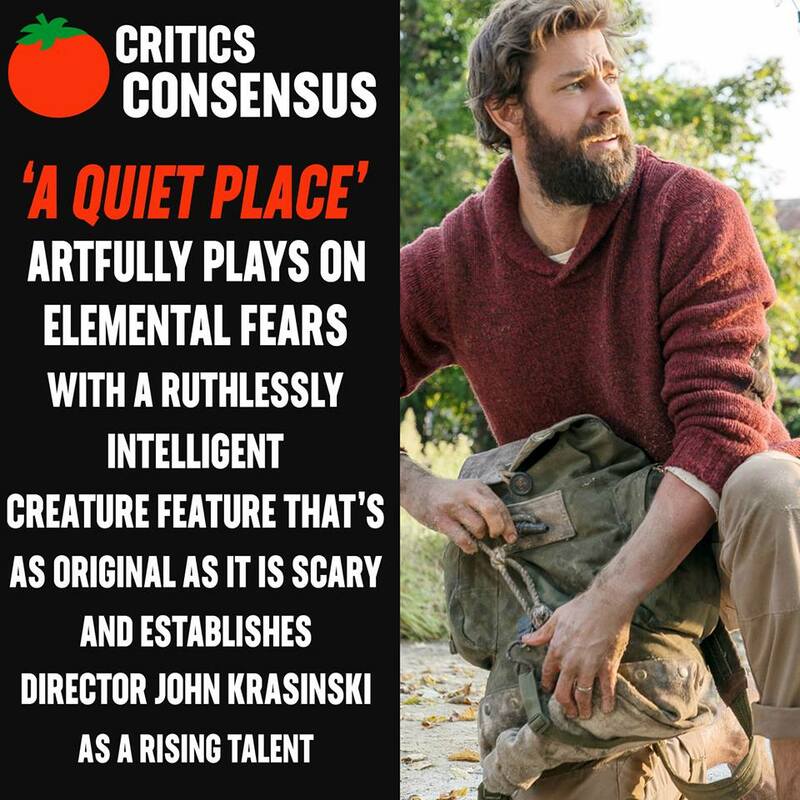 A Quiet Place is currently Fresh at 99% with 69 review. The new movie of actor/director/writer John Krasinki "A Quite Place" is making a massive noise in the box office over the weekend with a whopping sales of $50 million. The movie also stars Krasinski and his real-life wife Emily Blunt. They portray a married couple attempting to keep their children safe from the horrible monsters who pursuit their victims by solely hearing. The casts are inaudible for nearly the entire film, since the story evolves about making any sound is equivalent to your death. Rotten Tomatoes gave this movie a high rating, influencing curious patrons to see Krasinki's unique way of storytelling. Run to your favorite Cinemas "quietly" and see and hear for yourselves. Now playing in Philippine cinemas "A Quite Place" is distributed in the Philippines by United International Pictures through Columbia Pictures.